Bear Buns. How cute is the name of this bakery? At work we have something called "Got Brunch?" -- where every Friday one of our office mates will bring breakfast or lunch for our office. One morning, C brought in fresh cinnamon rolls from Bear Buns Bakery in Serra Mesa. I was hooked since then and I finally introduced my family to it. 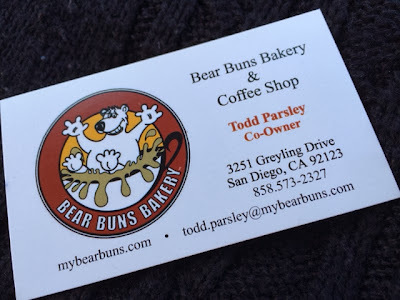 Bear Buns Bakery is located between a post office and a laundromat in Serra Mesa. I lived in Serra Mesa for a while after college, but I did not know that the community in this area existed. It is a quaint little spot that kind of looked like a fast food joint back in the day. There is street parking and a few spots behind the restaurant. The bakery opens at 6:00am on Mondays through Fridays and on the weekends it opens at 7:00am. For our first trip, we arrived on a Sunday afternoon around 2:00pm for some cinnamon rolls. Guess what.... they were all out. *sad face* SIGH. 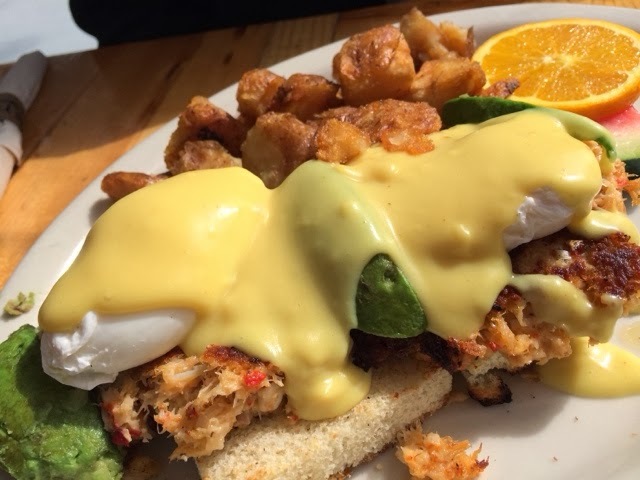 One of the co-owners told us that on the weekends, they are usually out by 11:00am or noon. It's understandable! He even told us that we can call ahead and they can hold us some if we are on our way. This was a great tip! We did not let our trip to Bear Buns go to waste. M ordered a blueberry muffin ($2.65). They warmed it up for us and it was buttery and delicious. 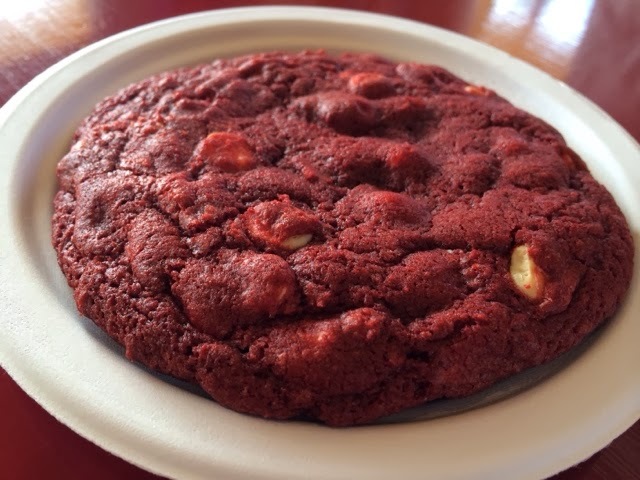 Every item is baked in-house in their kitchen! I ordered a red velvet cookie ($1.65) to share with my son. I love white chocolate chips on anything, so this was a plus for me. It was really sweet, but still enjoyable since I shared it. M and I ordered iced coffees. 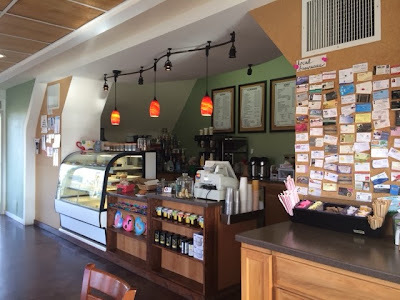 They use local Cafe Virtuoso coffee beans, which is certified organic and fair trade. 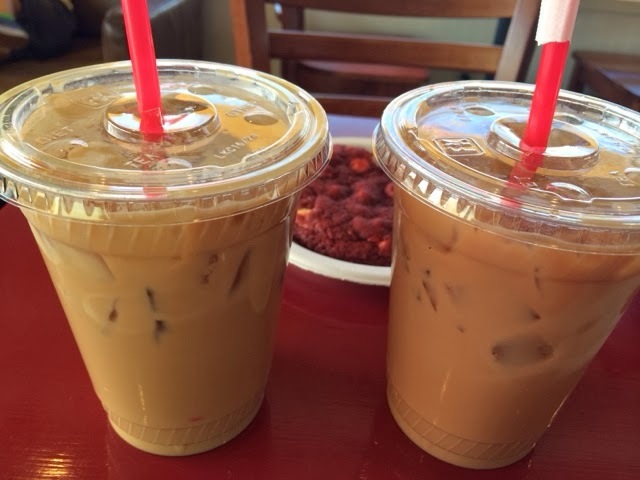 I ordered my favorite "go-to" iced coffee, Iced White Mocha ($4.25) and M ordered their special Iced Raspberry White Mocha ($4.75). We chatted with the co-owner for a little bit as our little boy explored the bakery. They were nearing closing time so we pretty much had the place to ourselves. We told them that we would be back for the cinnamon rolls. For the second trip, we arrived on a late, rainy Sunday morning (11:00am). J fell asleep during the car ride over so I went in and ordered items to-go. These pictures do not do justice on how they tasted. 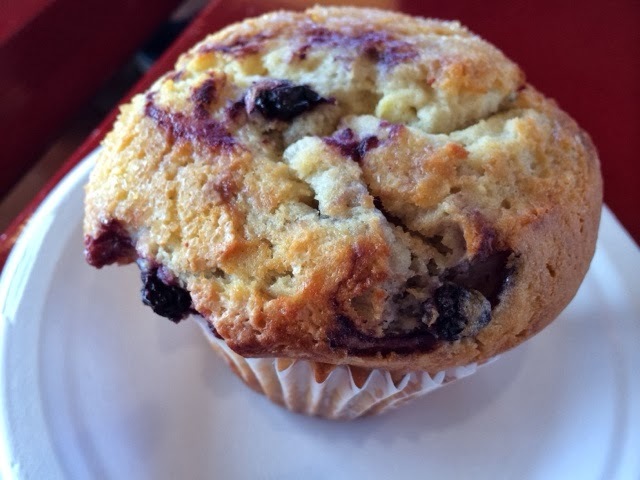 Every freshly baked item was amazing! I ordered, brought the food to the car just when J woke up so we ended up taking everything back into the bakery to eat it. The only thing is that we didn't ask them to heat everything up. Seemed a little weird that I left and we came back as a family, haha. 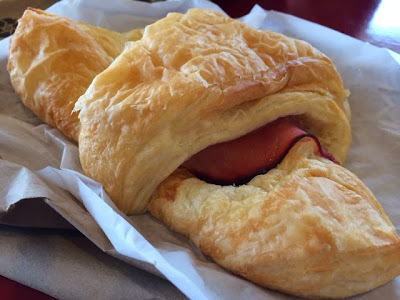 I ordered the croissant with ham and cheese for breakfast ($2.85). I opted for Swiss cheese. I am unsure what the other option was; could have been cheddar. The croissant was flaky and yummy. 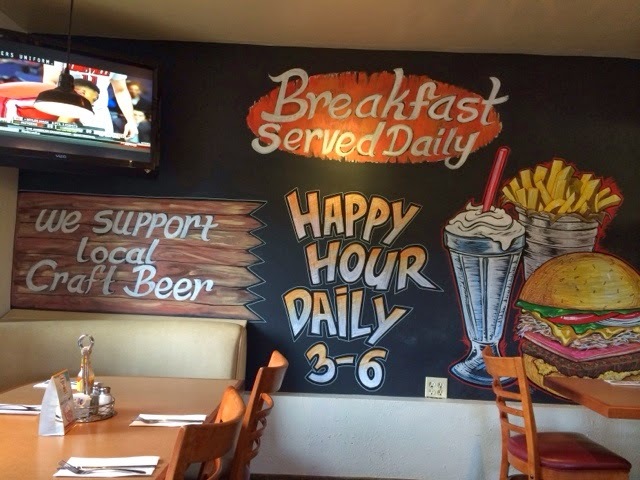 This was a menu special on the chalkboard that M noticed the first time we were there. 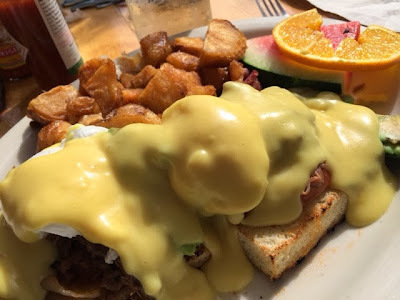 It is the Benedict Sandwich ($4.75, I think). 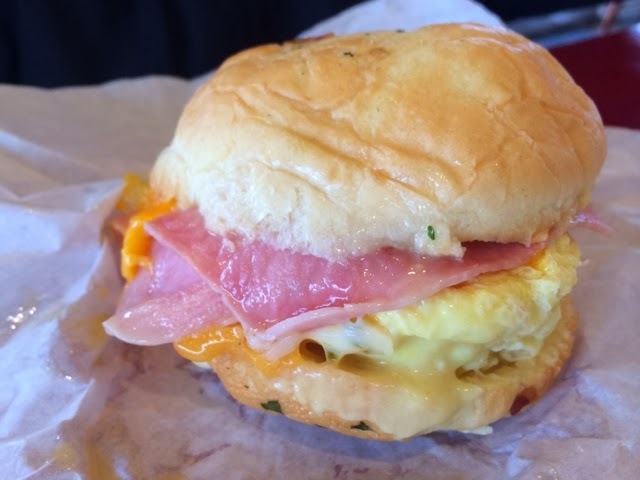 It is a fresh baked roll (in-house), egg, cheddar cheese, ham with hollandaise sauce. Oh yum! He loved it. M mentioned to me last week that he wanted to go back just for his sandwich. They have sticky buns here too!!! I just had to get one to try it. Each one is $3.10. I worked at Cinnabon as a freshman in college and it takes me back to the day of "Caramel Pecanbons". The outside of the bun was crispy and the inside was gooey. J liked this one the best, better than the cinnamon roll. Ta-da! When C brought these into work, they were four, fresh hot cinnamon rolls in a parchment paper lined cardboard box. 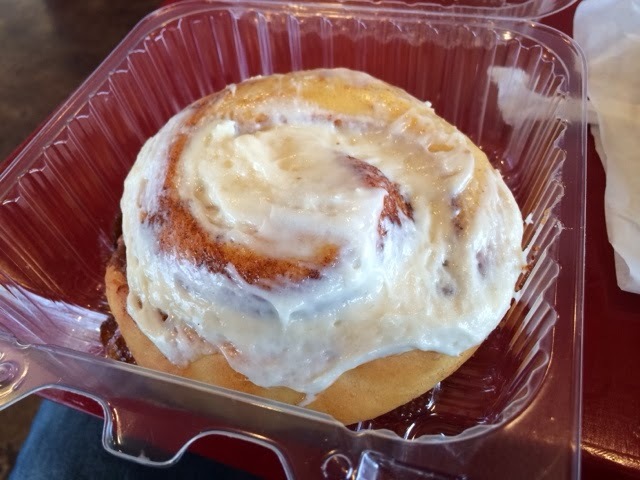 I ordered one cinnamon roll ($2.95) for us to share. By the time we got to opening this cinnamon roll, it was not warm anymore, but we ate it anyway (I was still chicken to ask them to warm it up). It still was really yummy despite the fact that these are sooo good when it's hot out of the oven. 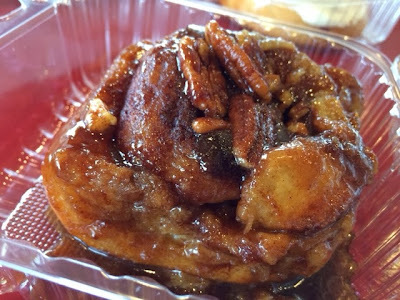 Bear Buns Bakery is certainly a great find and we will definitely visit again, mostly for their cinnamon rolls. Like I mentioned, arrive early and call ahead to have them save you a roll or two. They encourage it! Enjoy! 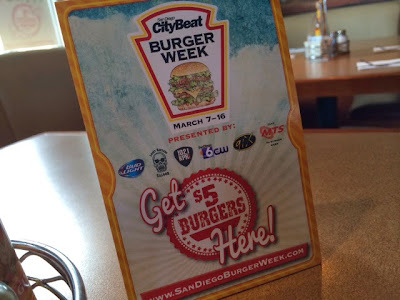 I know, this post is about San Diego Burger Week..... so, yeah, it's *very* late, like really late. Better late than never... here we go! I finally made it out to enjoy a $5 burger during San Diego CityBeat's Burger Week, which was from March 7 through March 16. 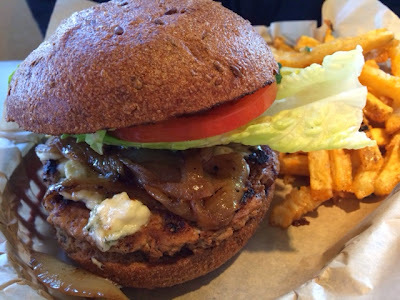 After browsing through all the restaurants offering delicious gourmet burgers, I chose Bunz Burger Joint in Mission Valley. 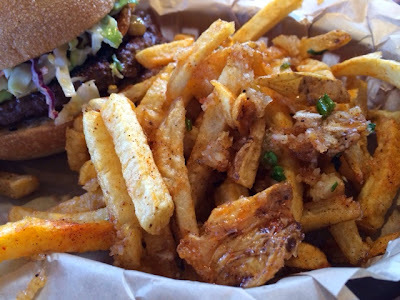 Bunz Burger Joint is a sister restaurant of one of my favorite restaurants, Terra American Bistro in El Cajon. 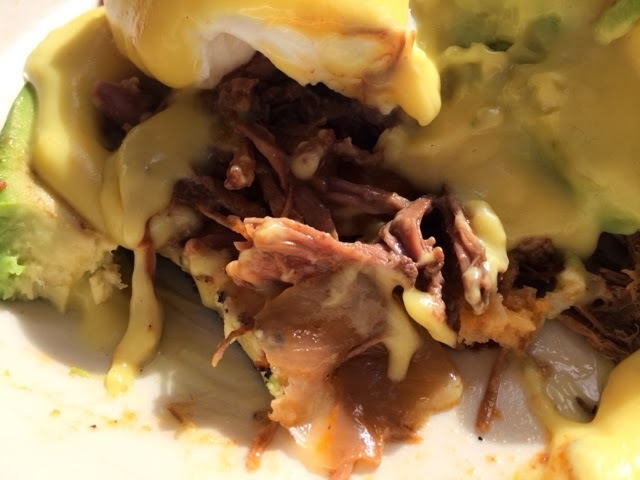 Like Terra, Bunz is a farm-to-table restaurant offering all-natural beef, utilizing the very best local ingredients and serving local beer. 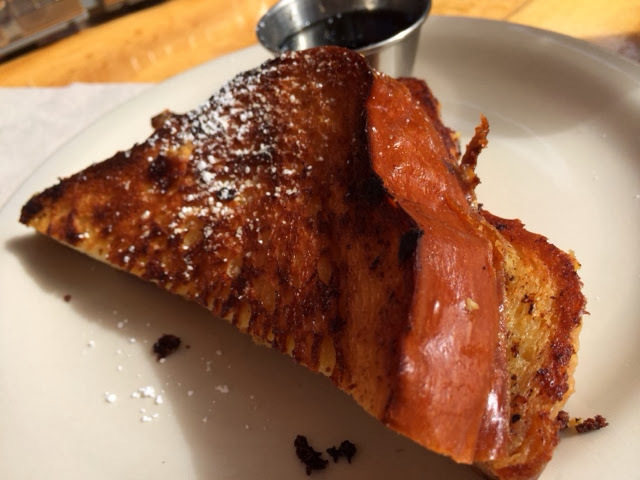 Bunz serves breakfast dishes, burgers, hot dogs, 'concrete' ice cream concoctions and milk shakes. 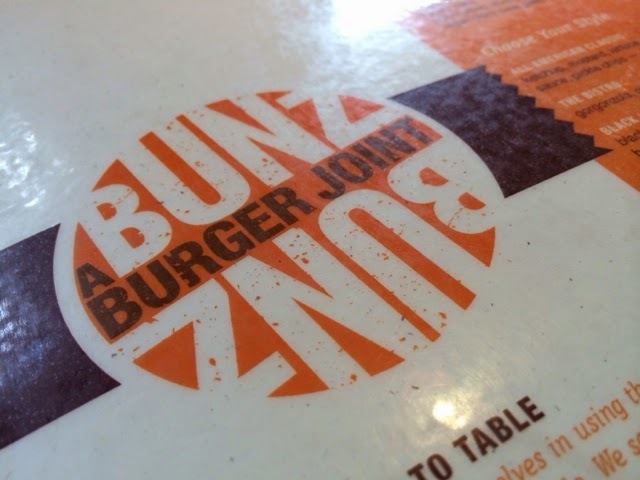 We were excited to experience BURGER WEEK at Bunz. My hubby thought that all of the burgers were $5.00 (ooops, my mistake for not clarifying) and he chose one that they serve at Terra, the Bistro ($7.95). The Bistro comes with gorgonzola, caramelized onions, lettuce and tomato. It's SO GOOD. 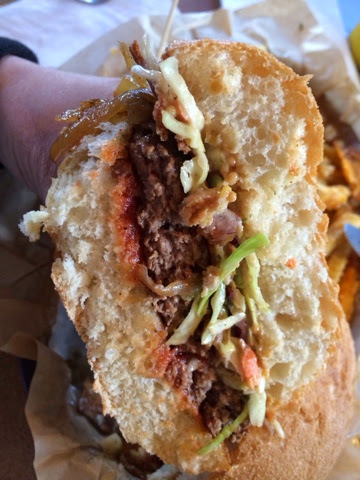 Bunz gives you a choice of the bun (brioche, whole wheat, ciabatta or lettuce wrap) and the type of protein (grass fed beef, citrus grilled chicken, turkey patty, or vegetarian black bean patty). M chose the whole wheat bun with a turkey patty. He also added garlic fries for an extra $2.00. 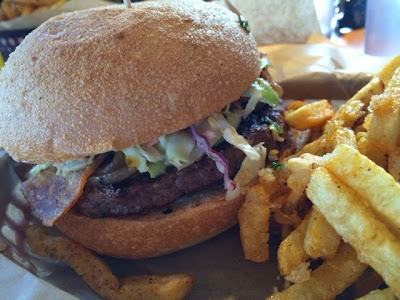 Bunz' Burger Week burger was called the "Hang Ten" ($5.00) -- served on a brioche bun, this burger had 1/3 pounds of all-natural beef, citrus coleslaw, homemade potato chips (what? ), caramelized onions, beer-thyme mustard and homemade ketchup. I could not pass up their yummy garlic fries either ($2.00). We definitely had garlic breath when we left Bunz. 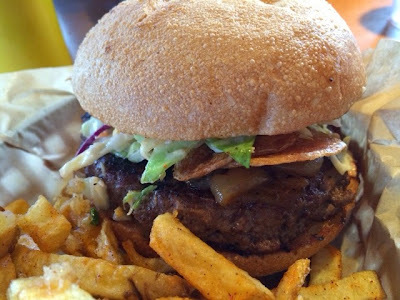 The Hang Ten burger had two of my favorite "sides" in it: potato chips and coleslaw, so it was a "match made in heaven". The flavors were good, texture from the crunchy components were nice, and the tang from the mustard and acidity from the slaw went well with the meat and the savory onions. 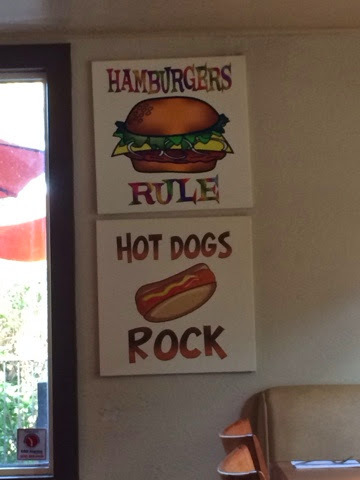 It was a really good burger! The brioche bun was a bit dry, but it was still pretty good all together. DESSERT time. Yeah, why not? 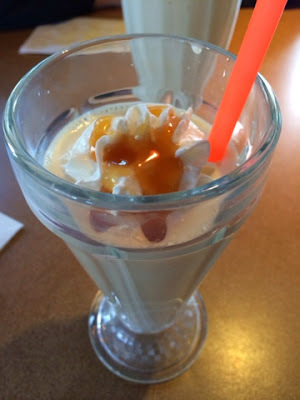 *smirk* We split a caramel/vanilla milkshake ($5.10), which they put into two glasses without us asking (a plus!). Anything with caramel -- I LOVE. Plus, add my favorite ice cream flavor.... vanilla. 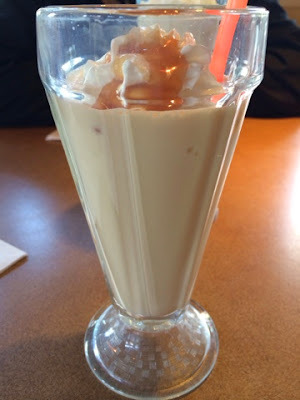 It was a delicious, simple, perfectly made milkshake. 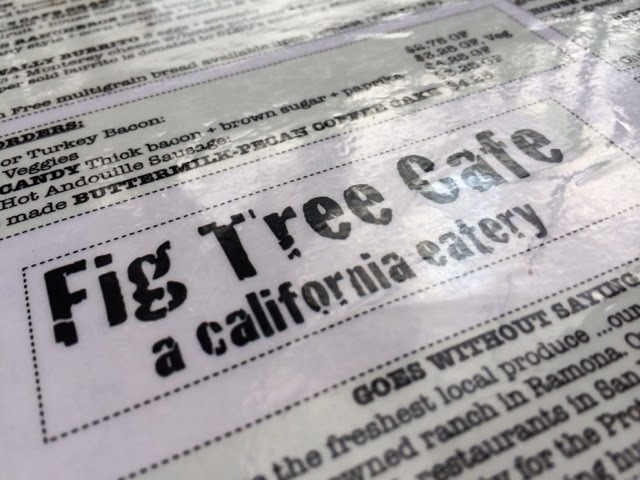 The staff was very friendly, the food was delicious, and I really want to try their breakfast items. Like I mentioned, it is in a really random spot, but having a farm-to-table burger joint in town is always a plus!